CT Realty (CT) has acquired 345 acres of industrial land within the master-planned NorCal Logistics Center in Stockton, Calif., with plans to develop 4.4 million square feet of high-clearance distribution, e-commerce/logistics and advanced manufacturing buildings. The project, which breaks ground this month, includes an unprecedented amount of speculative construction for Northern California. Valued at $135 million, the first phase of development includes approximately 1.7 million square feet in three buildings, including a 1,122,341-square-foot building that will be the single largest spec building developed in Northern California. Two additional buildings of 388,183 square feet and 186,944 square feet will complete Phase 1. Beyond the planned development, NorCal Logistics Center has sites available for build-to-suit developments ranging in size from 100,000 square feet to more than 1.9 million square feet. NorCal Logistics Center, which is already home to General Mills, Fresh & Easy and Fox Head, is located in the heart of California’s Central Valley industrial market and serves an extension of the global logistics supply chain infrastructure directly linked to West Coast ports in Oakland/Stockton, Los Angeles/Long Beach, Portland, Ore., and Seattle/Tacoma, Wash. The project is proximate to key intermodal facilities operated by Burlington Northern Santa Fe and Union Pacific railroads, and is accessible to SR-99, I-5, I-205 and I-580, linking to all major Northern California markets and strategic Western U.S. destinations. “The evolution of modern logistics infrastructure, including inland ports, sea ports and commercial rail systems, has changed the dynamics of how containerized cargo is distributed nationwide and throughout the world,” added Ewing. “Investing in buildings that are strategically located near this infrastructure is integral to meeting the demands of today’s most progressive logistics users, and this is at the heart of our national strategy. The locational attributes of NorCal Logistics Center give us confidence that this will become one of the premier master planned logistics parks in the entire Northern California market,” added Ewing. CT and related development partnerships are developing speculative and build-to-suit Class A logistics buildings for some of the largest industrial users in America. The company has acquired or developed 7 million square feet of industrial buildings in the U.S. over the last 36 months, experiencing strong leasing activity from projects that have been well received in their respective markets. “NorCal Logistics Center represents the calculated expansion of an industrial logistics strategy we began implementing aggressively across the country five years ago,” said J.C. “Watty” Watson, managing partner of CT.
CT has capitalized much of its acquisition and development activity with Diamond Realty Investments (DRI) the U.S. real estate investment arm of Japan-based Mitsubishi Corporation. Both DRI and CT have 25-year histories in development and investment. The project is designed by Ware Malcomb, a premier architectural design firm with global experience in logistics and distribution facilities. Construction financing is provided by Cal Bank & Trust and Fifth Third Bank. 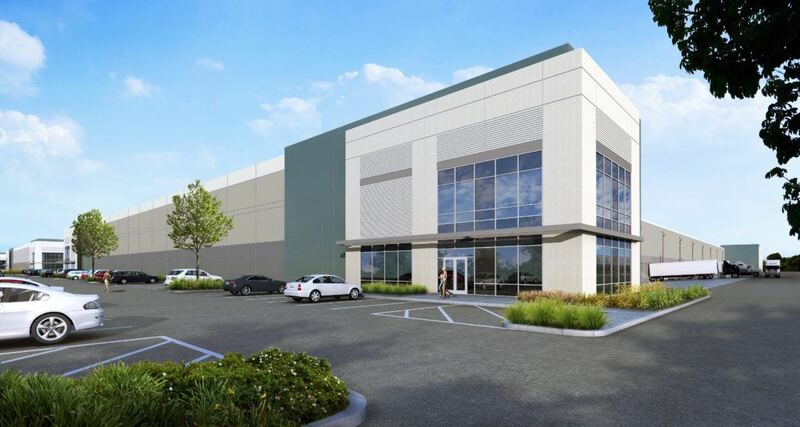 CT acquired the NorCal Logistics Center parcel from Arch Road, L.P., a partnership controlled by Minnesota-based Founders Properties and represented in the transaction by Darla Longo, Barbara Emmons Perrier, Rebecca Perlmutter, and Michael Kendall of CBRE National Partners. CT was represented by Cushman & Wakefield’s Kevin Dal Porto, Blake Rasmussen, John McManus and Tyler Vallenari, who will provide ongoing leasing, sales and market support services.